Hunger and Homelessness Awareness Week is a national week of awareness started by the National Coalition for the Homeless and the National Student Campaign against Hunger and Homelessness. Every year, the Center for Civic Engagement hosts a week of programming and service events. 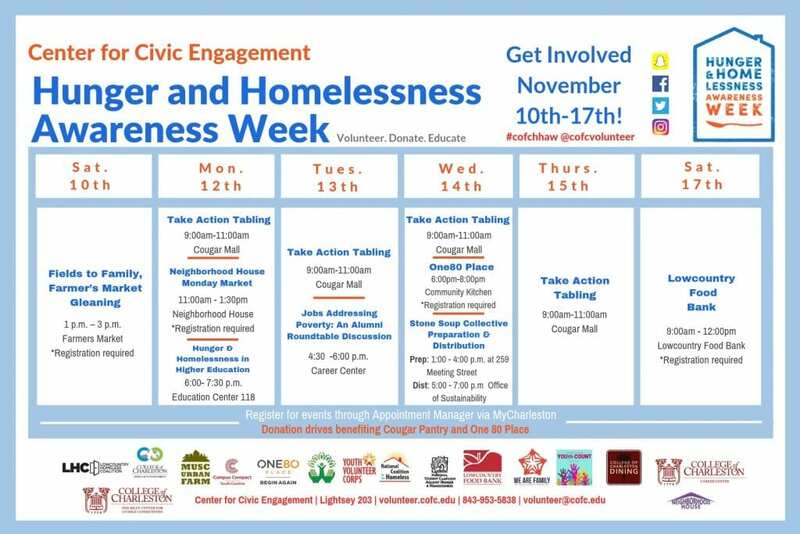 This year from November 10th until November 17th Civic Engagement will collaborate with community partners and student leaders to draw attention to these issues as well as work to eradicate them in our very own community. Many people would assume that hunger and homelessness issues only affect people dispersed around our community, but that is not the case. While analyzing these issues we also have to take a close look at our campus. So just how many students are affected at a campus crowned America’s Most Beautiful in 2017? I can imagine it might be hard to picture that so here are some statistics to help. During this week of awareness, we challenge you all to join the movement and help us fight to end hunger and homelessness and its impacts on our campus and community. 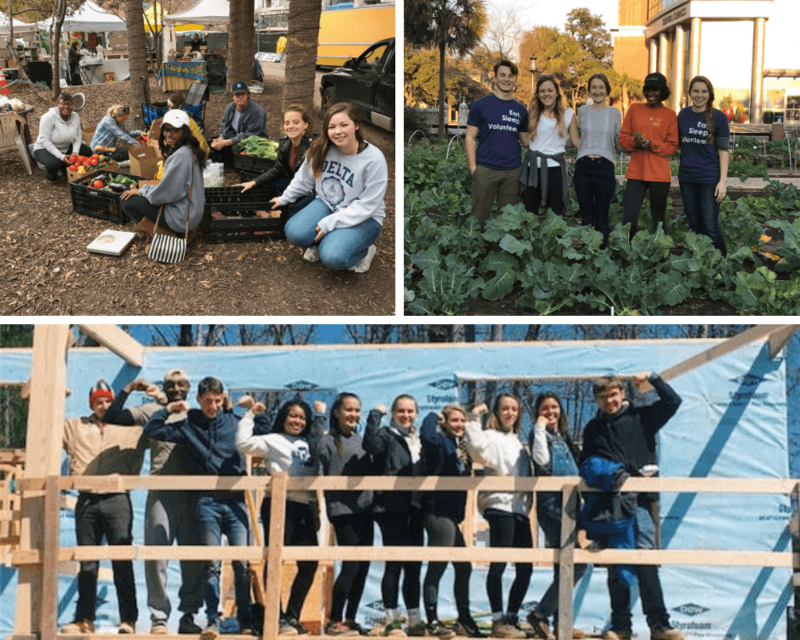 Take a look below at some amazing articles highlighting efforts being made by people and students around Charleston!